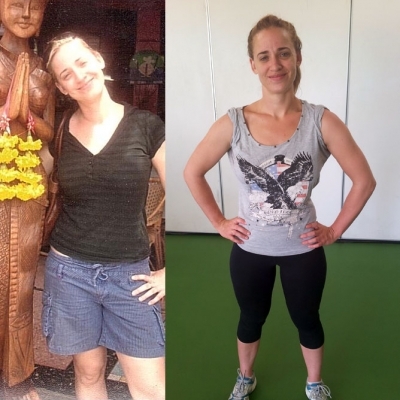 I started training with Luke about a year before I got married in order to look my best I possible could on my special day and the results were clear when I was having my wedding dress made, every time I went back for another fitting they had to keep making it smaller because I kept losing inches of body fat, the results were amazing!! Since that accomplishment I have kept getting more toned and have maintained that result and couldn’t be happier. I also love how the sessions are never boring and he gets more out of you than you think you can give and the results show!